Do you have any idea what those beef grades mean? Do you often go with the cheapest cuts of meat or the one that’s on sale? You could be in for a surprise when you find that you’re chewing on it for a while. Would you like to know more about how beef is graded and how you can be sure to select the best cut of meat? In the early 1900s, the agricultural market saw that there was a need to report market conditions to the press. There was also a need for cattle ranchers to understand the market and the quality of meat that was available. The first standards were created by the U.S. Department of Agriculture (USDA) in 1914. These standards were revised several times over the next few years. Hearings were held in Congress to get the testimony of all stakeholders (no pun intended), from ranchers to grocers and consumers. Out of these hearings came the first standardized beef grades that were used for a one-year trial. Beef grades have seen some changes over the years, and what we see today is the result of a changing way of life. The most amount of meat that was graded in one year was in 1970. That year, over 14 billion pounds were graded by the USDA. Consumers don’t shop the way they did in 1927. Ranchers don’t produce cows the way they did in 1927. Beef isn’t sold the same way as it once was. Grading criteria are set by the marketing arm of the USDA, the Agricultural Marketing Service. There are two areas that are graded by the Agricultural Marketing service. The first area is quality. The quality describes how flavorful the cut is, the tenderness and juiciness a cut can be. You can usually tell by the marbling of the meat. These are specks of fat within the muscles of the meat. The more fat a cut of meat has within the muscular tissue, the more flavorful the cut. The marbled look of meat is often determined not by genetics, but by how the cow was raised. Grass-fed meat will actually have less fat than grain fed. Some cuts of meat, like prime rib, will have more fat than other cuts. Sirloins and tenderloins don’t have that much fat. Beef is also graded by yield. This is a little easier to figure out. 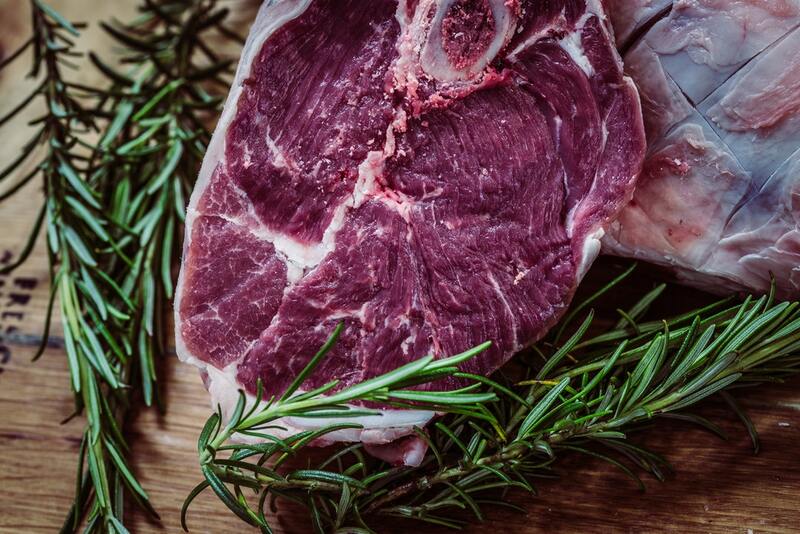 These grades are given on a scale from 1 – 5 to let buyers know how much usable meat is on a carcass. Grade 1 is the best grade as it has the highest lean meat to fat ratio, while grade 5 is the lowest. You don’t really need to know yield grades unless you plan to buy a carcass or a portion of a carcass from a rancher or butcher. Select grade is often seen as the lowest quality grade. It’s not that select meats are bad, it’s just that they’re leaner and have less marbling than other cuts. With less marbling comes less juiciness and flavor of the meat. This grade would be good for things like dumplings. You’ll also see Select cuts that are perfect for grilling or marinating. Choice grade meats have less marbling than Prime, but more than select. These cuts will have a lot of flavor and juiciness. Prime is what a lot of people think about prime grade beef. Prime cuts come from young cows that were well fed. These are often seen as the highest quality meats. These cuts have a lot of marbling, and you’ll find these cuts at high-end restaurants and hotels. Prime cuts are great for grilling, broiling, and roasting. They retain their flavor and juiciness no matter how they’re cooked because of the amount of marbling. There are certain cuts of meat that are so marbled and flavorful, they are graded above Prime grade. Two such cuts that come to mind are Kobe and Wagyu beef. One such cut could be as much as $1,200. These are often served at the finest restaurants in the country. There are some markets that claim to have Kobe or Wagyu beef, but there are standards that you should know about before you buy. You can compare these two cuts of meat and get an understanding as to why these cuts are so rare and delicious. Beef has its own grading system, thanks to the USDA. What about poultry, lamb, and pork? Do they have grades? Yes, the USDA does have a grading system for these cuts of meat. Poultry is graded on a scale from A to C. Grade A is what you usually see at the poultry counter in grocery stores. These cuts don’t have bruises, defects, and no broken bones. Grades B and C are processed more and normally sold as ground or chopped chicken. You don’t need Gordon Ramsay calling you a donkey to be a great home cook. You just have to get quality ingredients. That starts with understanding the different beef grades to ensure that your steak is tender and juicy all every single time. Beef grades have been around for almost 100 years, and they’re meant to give you confidence that you’re buying a quality cut of beef. If you enjoyed this article, you’ll love to read these articles about having hobbies.